Who can access the account(s)? Who decides what/when to post? How is social media integrated to operations? A dedicated communications staff or communications committee should oversee organizational messaging. It is helpful to have a social media plan in writing, including goals, procedures and guidelines. The Center for Technology in Government at the University at Albany identified eight essential elements for government social media policies. 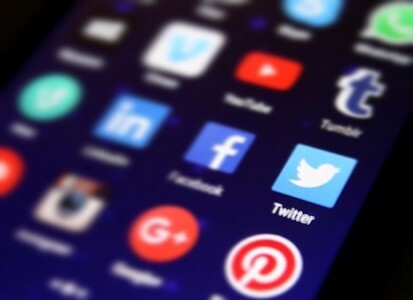 Twitter published a “Twitter Government and Elections Handbook.” While its focus is elected officials, the handbook does presents administrators with additional guidance to manage accounts. Lastly, it may go without saying, but promoting the Twitter handle (i.e., @PhiladelphiaGov) wherever possible will help cultivate followers. Share news and advertise services – Among social media platforms, Twitter provides the best opportunity for administrators to publicly disseminate narrated content they would love to share in person. It is also a valuable outlet to tell the organization’s story, be transparent and share vital information in real time. Tweeted and retweeted articles, such as this one from Boulder, can highlight noteworthy service delivery accomplishments. Tweeted facts and statistics on public services can persuasively inform followers, including citizens and members of the media. 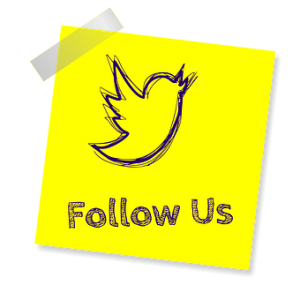 Through over 68 accounts, The Center for Disease Control has been recognized for strategically using Twitter to effectively and inexpensively deliver critical information on public health issues. Tweets can also streamline processes – such as providing links to online registration forms for services or programs, such this one for an Urban Garden Workshop in Washington, D.C. Twitter can be a great place to post job openings with application instructions and reach younger audiences who could become employees in service delivery positions. Seek feedback and tailor response – Twitter offers a powerful gateway to ‘listen’ to feedback on services by searching with key terms, checking tweet replies and sharing surveys, such as this disaster effects survey tweeted by the City of Oklahoma City. Forums such as Twitter “Town Halls,” allow administrators to interact directly with the public. For example, the USDA’s Food and Nutrition Service recommends the use of local Twitter Town Halls to create awareness about programs. Undoubtedly there will be users who abuse this direct contact privilege. Ignoring offensive tweets may be more prudent than blocking an account, which could just escalate the situation. Twitter also contains valuable data for government organizations to absorb about their environment and use to tailor services accordingly. This can happen through both short-term and long-term information-gathering efforts on those they serve. In the short term, Twitter can be a great way to gauge public awareness of government services, which the Town of Chapel Hill, North Carolina does effectively. In the long term, for example, the United States Geological Services actually supplements their research on earthquakes with historical data from Twitter. Link to performance measurement – For service delivery to truly improve, Twitter activity must relate to performance measurement. Twitter analytics is a great tool to measure the account’s impact, and can in turn inform strategy. For example, which tweets have reached the most people? When is the best time of day to tweet? Twitter analytics tracks follower growth, follower engagement, tweet reach and site traffic. How information from Twitter is transferred internally is essential to improving service delivery. Built-in feedback loops to employees, such as regular reports on social media activity, ensures all are appropriately informed to respond. Be careful! – With all the benefits of Twitter, it does not come without small, but significant, risks. One inaccurate or inappropriate tweet can have severe negative consequences, which cannot be undone by deletion. Through training and supervision, staff members must understand how the code of ethics and organizational policies guide Twitter activity. Finally, prudent cybersecurity steps include ensuring login information is carefully stored, passwords are changed regularly and all devices and computer systems are secure. Twitter is one tool government organizations can use to have a conversation with stakeholders and enhance service delivery. A strategic approach helps ensure a tweet does not just fade into the ether of the Internet but actually influences on the delivery of services. Author: Brian J. McLaughlin, MS, MPA is an adjunct faculty member in the Department of Public Administration at Villanova University. This article presents the personal views of the author and does not represent the New Jersey Judiciary. Email: [email protected].